Real Estate Broker Anthony Wilson has taken real estate selling to a new level. Wilson, who has worked previously with companies such as Painted Desert Realty and Centennial Hills Realty over several years, is now taking the opportunity to promote high-rises in Las Vegas. The young entrepreneur has purchased units in the City Center project on the Las Vegas Strip and also at Panorama Towers, just west of there. Wilson says the reason he purchased in Panorama was the Harmon overpass connection that allows traffic between those two properties, connecting the east and west sides over I-15. The City Center project has units fetching $650 – $2,800 per square foot. And Panorama Towers has units ranging from $250 – $450 per square foot. 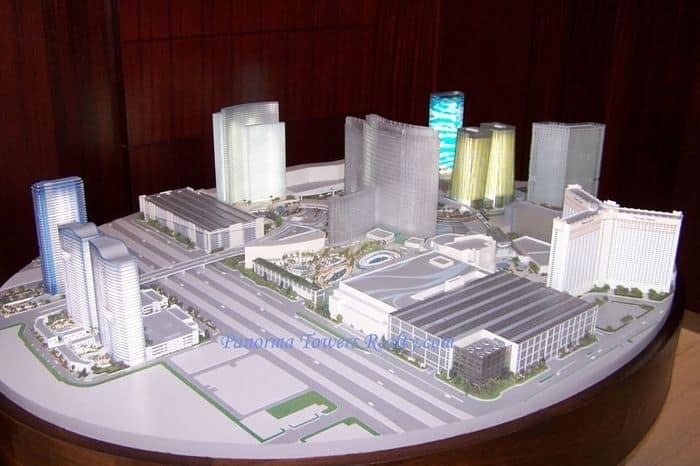 Artist’s model of City Center project and Panorama Towers. According to Wilson, he feels that MGM’s City Center will open up and probably level out at an average price of about $1,500 per square foot until the market recovers. Wilson feels that once the Harmon overpass is finished, people considering City Center will look to Panorama Towers and see value. Wilson says that Panorama Towers is drastically undervalued due to the present real estate crisis and that once things settle down, Panorama should sell for at least half of what City Center would. That is why Wilson formed Panorama Towers Realty to handle the resale and leasing of units there, providing services exclusively to Panorama residents and owners. 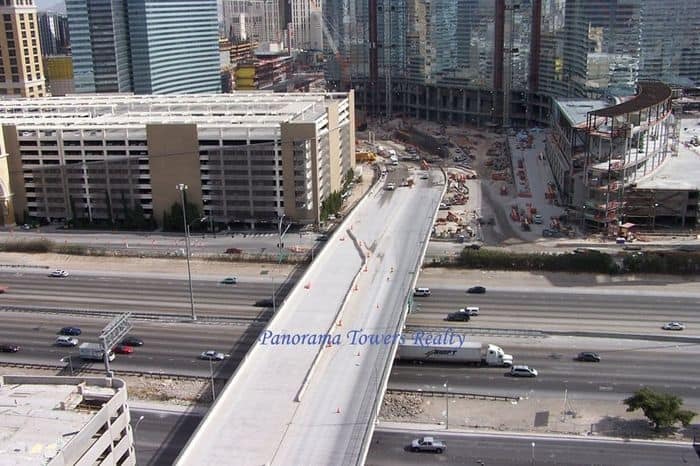 Harmon Overpass connecting City Center, east side, on Las Vegas Strip, with Panorama Towers on west side. 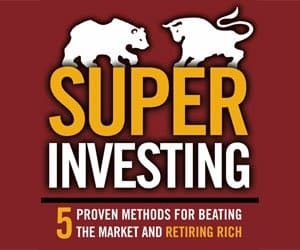 Today’s buyers may realize substantial savings with Wilson’s plan, especially those who had intended to sell their units but instead, due to the economy, have decided to lease them out. Wilson said his creative lease program allows those who lease units – and later sell them through him – to receive back a substantial portion of the fees he received from them during the lease period. Panorama Towers is one of the most high-tech properties in the country and offers many amenities, including 24/7 concierge, valet, in-house VIP transportation via Panorama’s own Cadillac Escalade, along with a state-of-the art gym with the latest technology in exercise equipment. The security system is a multiple-stage, advanced system with double entry gates and other special safeguards. 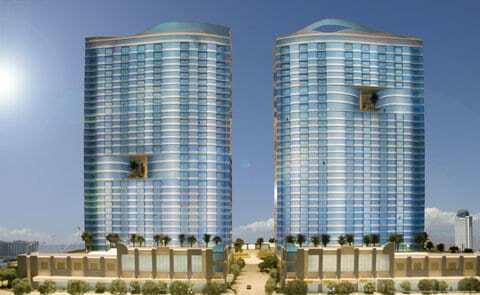 Panorama Towers offers great value and hightech amenities right by the Las Vegas Strip. Wilson welcomes everyone to visit his website for more information at www.PanoramaTowersRealty.com or by calling Panorama Towers Realty at 702-871-5300.